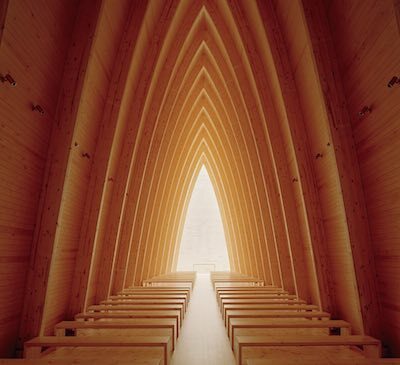 Wood, by William Hall, is an international survey of wooden architecture, published by Phaidon. Like his previous books - Concrete and Brick - it has an embossed dust jacket, full-page photographs with extended captions, and chapters themed according to concepts such as form, light, and scale. The book includes buildings dating from the Middle Ages, though the emphasis is on modern and contemporary architecture. Most of the 170 examples are wooden structures, though there are a few exceptions, including some bamboo buildings and wooden facades. 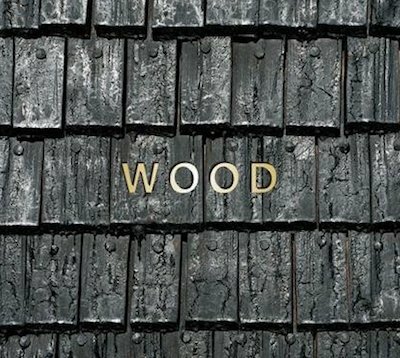 Architecture In Wood is more comprehensive than Wood, though its photographs were all taken by its author, Will Pryce. Hall's book, on the other hand, features images from various sources. Wood: The World Of Woodwork & Carving, by Bryan Sentance, is a guide to wood as a medium for art, craft, and design. Book From The Ground: From Point To Point, by Xu Bing, is a novella composed entirely of emoji, pictograms, logos, and other symbols (including 7x8mm reproductions of Marcel Duchamp's Fountain). Though there have been previous translations of texts into emoji, this is the first example of original fiction in emoji form. The book contains no text (except on the back cover), and punctuation marks are its only concession to conventional typography. The concept is original and fascinating, though the potential for emoji as literature seems limited. The first wordless novels, with narratives depicted in Expressionist woodcuts, were created by Frans Masereel after World War I. As Schodt explains in his introduction, "Tezuka was the main force in the creation of the long-arc, story manga format... and in 1963, by animating his own Astro Boy manga for television, he also created the framework for Japan's entire modern manga-anime". He also notes that, in Japan, Tezuka is known as "manga no kami-sama" ("God of Manga"). In Cartoons, Giannalberto Bendazzi calls Tezuka "the 'God of comic-strips'." In The World Encyclopedia Of Comics, Maurice Horn calls him the "King of Japanese Comics". 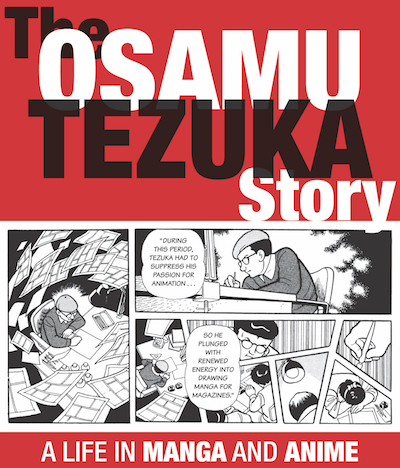 At more than 900 pages, The Osamu Tezuka Story is a comprehensive biography of Tezuka in manga form. One of Tezuka's recurring characters, the mustachioed Higeoyaji, appears as a narrator. Interestingly, excerpts from Stanley Kubrick's 1965 letter to Tezuka are included, translated from Tezuka's autobiography, Baku Wa Mangaka. There is an invaluable appendix listing the Japanese titles of Tezuka's manga and anime works. Schodt writes that, although the book "could have turned out to be a crude hagiography - a biography depicting Tezuka in only a heroic light", it offers instead "a realistic portrait of a very complex and unique individual." However, because it's an official Tezuka Productions release, created as a posthumous tribute to Tezuka, an element of hagiography is unavoidable. The translation of The Osamu Tezuka Story (unlike the Astro Boy Omnibus series, Schodt's translation of Tezuka's Mighty Atom) preserves the original Japanese format, without the Westernised 'flopping' (left-to-right conversion) of some manga translations: "Pages and panels are read in Japanese order from right-to-left, but text in word balloons is read from left-to-right. And "sound effects," especially when part of the original art work, are often left as-is, with unobtrusive translations." 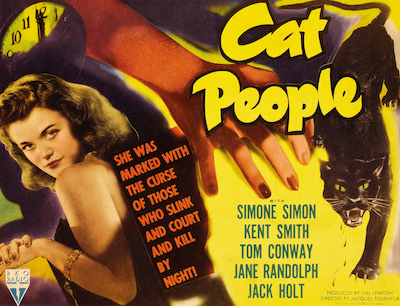 While there are numerous histories of album covers (including Album: Classic Sleeve Designs, The Art Of The Album Cover, and Art Record Covers), sheet music design is a relatively niche field of interest. Visions Of Music, by Tony Walas, is a history of sheet music covers. Despite its subtitle (Sheet Music In The Twentieth Century), the book includes examples from the Victorian era onwards, demonstrating that illustrated sheet music covers existed long before Alex Steinweiss designed the first pictorial record sleeves. The covers in the book are only from the author's collection, though it's the first survey of the subject to feature covers from all genres. This month, Bangkok Screening Room will be showing Anocha Suwichakornpong's masterpiece Mundane History (เจ้านกกระจอก). The film will be screened on 21st, 23rd, 24th, 25th, 26th, 28th, 29th, and 31st March; and 2nd, 4th, 5th, 7th, 8th, 11th, and 12th April.